Wearable computers and head-mounted displays are in the press daily. Why now? While the basic technology has existed for decades, only recently have these devices become practical and desirable. Meeting the Challenge: The Path Towards a Consumer Wearable Computer, demonstrates four challenges along the road to making a consumer wearable computer: power and heat, networking, mobile input, and display using consumer, professional, and "maker" devices. 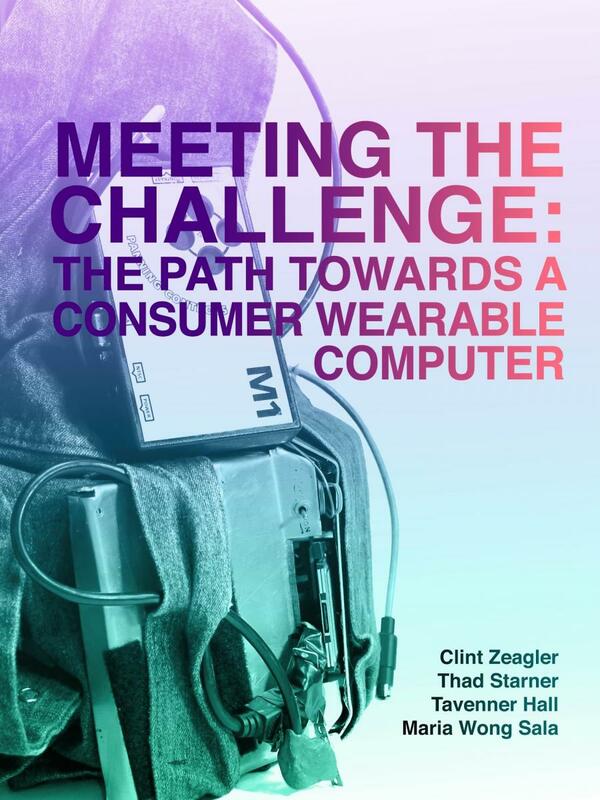 The inspiration for this book came in 2001 when Thad Starner authored an article for IEEE MICRO entitled “The Challenges of Wearable Computing” outlining these challenges. That article and years of research led Clint Zeagler and Thad Starner to curate a traveling exhibition in 2014 outlining the improvements in technology over the past 20 years enabling wearable technology to overcome these challenges and move forward on the path to a consumer wearable computer. This book is in part a catalog of that exhibit, but is also a collection of interviews from experts in the field of wearable computing.